Offered here are two children’s boxing gloves signed by Muhammad Ali. Ali, the greatest fighter in American history, compiled a career record of 55-6 while winning multiple heavyweight title belts. 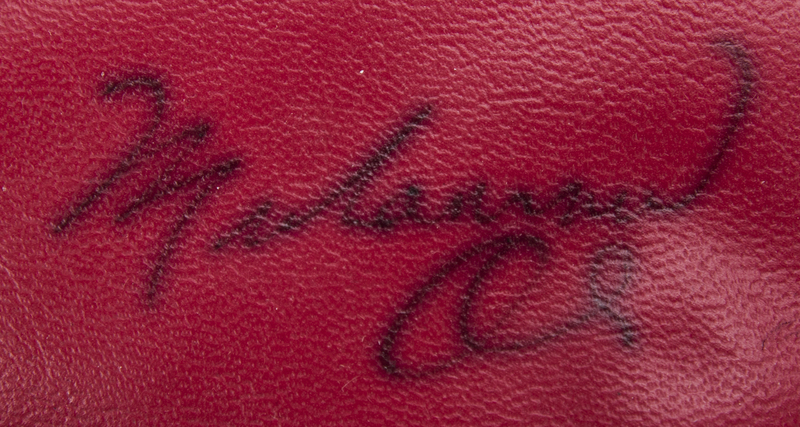 A gold medalist in the 1960 Rome Summer Olympics, Ali’s stardom transcended sports to make him a cultural icon in late 20th century America. 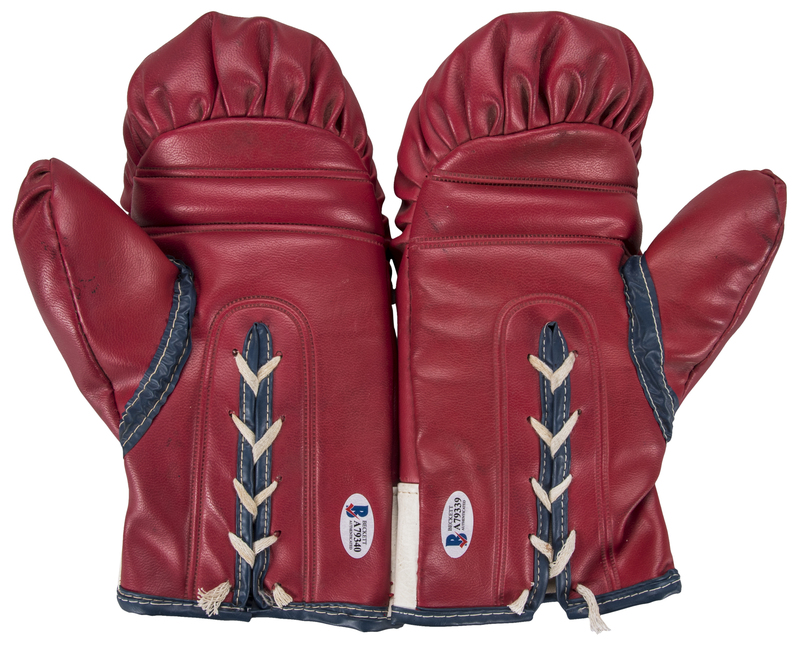 These two boxing gloves are red, with a 1976 Herbert Muhammad Enterprises tag sewn on each wrist. 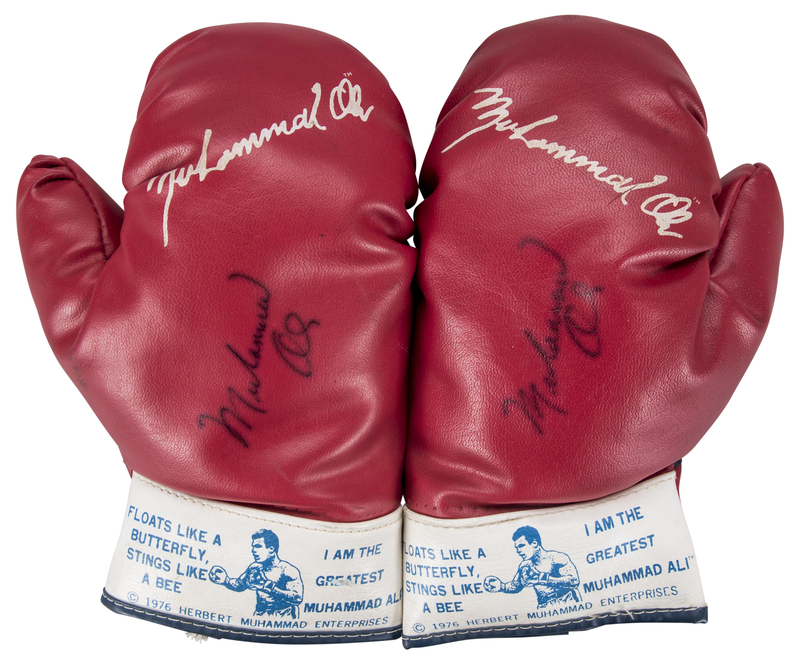 The tags read “Floats Like a Butterfly, Stings Like a Bee / I am the Greatest Muhammad Ali”. 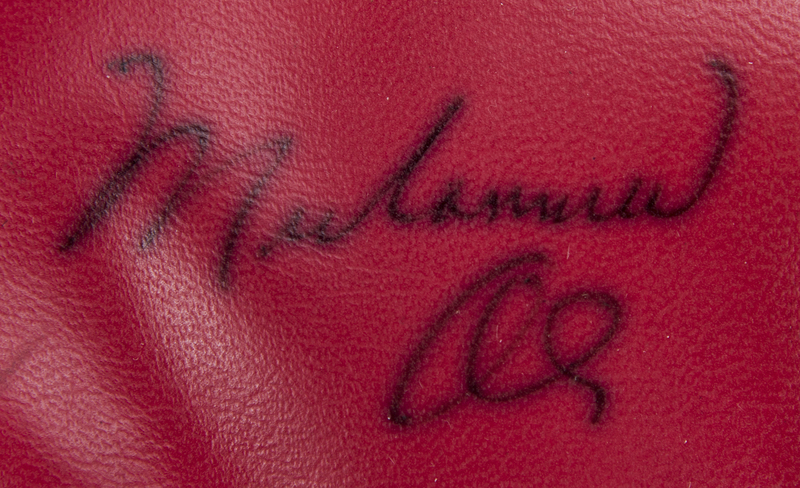 Ali’s facsimile signature is printed in white on each glove. 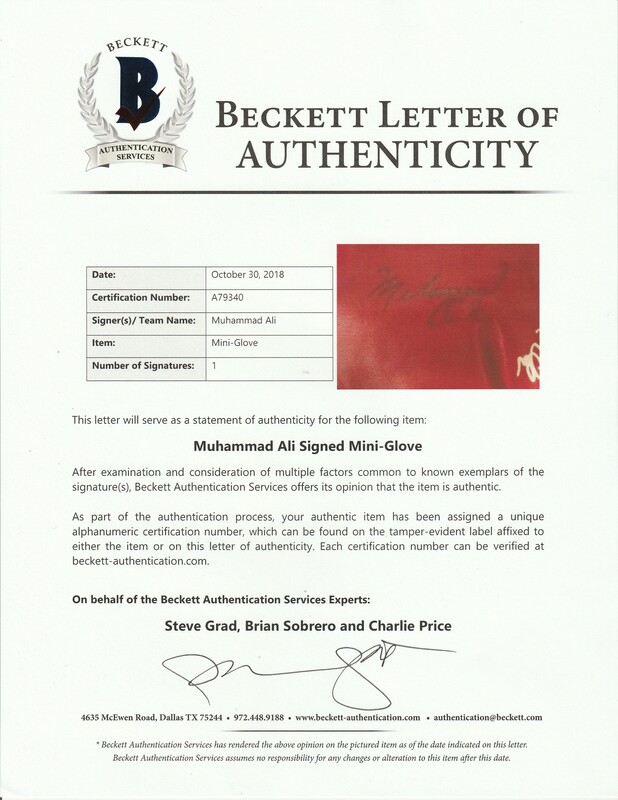 Ali has signed both gloves in black pen. Each glove comes with a LOA from Steve Grad of Beckett Authentication (A79339, A79340).